Your Mercedes is classy and sophisticated, a perfect combination of safety and style. When you sit inside your Mercedes, you can feel the unsurpassed power and comfort this luxury vehicle provides. You certainly did your homework when it came to choosing the perfect Mercedes vehicle, but have you done your homework in choosing where to have your Mercedes repairs and services performed in Santa Maria, CA? Your Mercedes deserves the highest level of auto repair and care, but you don’t have to visit your dealership for that! That’s where the Mercedes repair specialists at Rizzoli’s Automotive in Santa Maria come in. 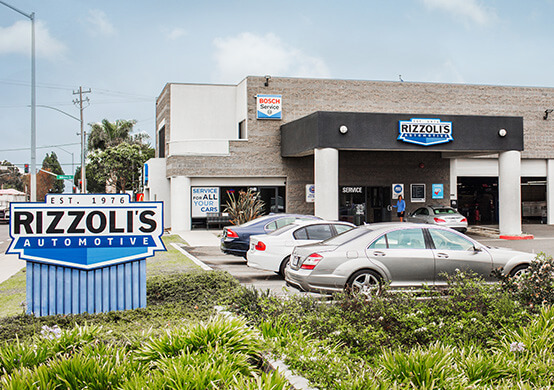 Our Mercedes repair experts have a passion for the high-performance vehicle, and Rizzoli’s Automotive is your dealership alternative. We even specialize in MBZ Sprinter vans at our Santa Maria location, too! Bring your Sprinter to our shop for top-notch service. At Rizzoli’s Automotive, our ASE Certified Technicians are highly skilled and specially trained to handle all of your Mercedes services and Mercedes repairs in Santa Maria. Whether your Mercedes is 10 years old or fresh off the assembly line, our technicians will take care of your Mercedes’ A Services and B Services with the care and precision that only a true Mercedes enthusiasts can. We truly care as much about your automobile as you do, and have access to Mercedes specific parts and diagnostic equipment, allowing us to be your friendly Mercedes dealership alternative in Santa Maria. In addition, all of our Mercedes repair services come backed by a 36 month / 36,000 Miles Triple Coverage Nationwide Warranty on parts and labor. We also offer a 28 or 60+ point reliability inspection and hand car wash, free with most Mercedes services! 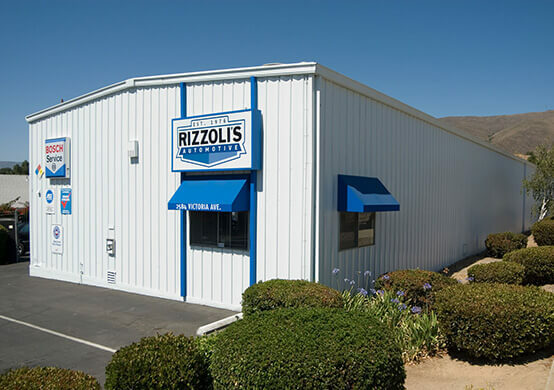 So next time you’re wondering where to get the best Mercedes service or Mercedes repair in Santa Maria, CA, just remember the Rizzoli’s Automotive promise. We’ll perform your Mercedes repairs right the first time, on time and on budget, because we service your Mercedes with the care and passion as if it were our own. Give us a call today at (805)541-1082, or easily schedule your appointment online, we’ll have you and your Mercedes back on the road again in no time.